We count on our cars, which is why it’s so frustrating when they're down for the count. While there's any number of reasons for car trouble, some are more common than others. So, if you're currently stranded on the side of the road, or a passenger in a tow truck, or seated in your local garage's waiting area flicking forlornly through 15-year-old truck magazines, hopefully this alphabetical guide to the 10 most common car problems will help you pass the time more pleasantly and provide some handy knowledge too. There I was, driving home from Brisbane after a concert, thinking that perhaps the volume of the show had temporarily deafened me, thus explaining why I couldn’t hear the car. And maybe the brightness of the concert lighting had affected my vision, which was why the dashboard dials were unusually dim and then completely dark. No, it was the alternator, the failure of which soon brought the car to a non-screaming halt. The alternator keeps your battery charged and powers the electrical system, but factors such as age, faulty wiring and automotive system glitches don't do it any favours. Also, the alternator is connected to other operating systems within your vehicle, making it vulnerable wherever problems strike. 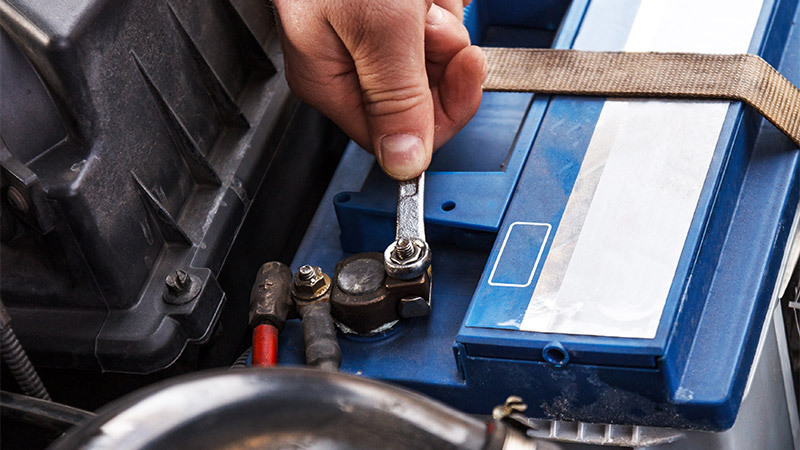 Auto batteries have a lifespan of around two to five years and often will let you know when their time is up. If your car has become a sluggish starter, won't start at all or the lighting is dim, your battery is either on the way out or, like Elvis, has already left the building. Problems with your alternator may also place extra demand on the battery, leading to failure. Signs of brake failure include not stopping – duh – taking longer to stop, noise while braking, shuddering under brakes, and the appearance of smoke or an unpleasant smell emanating from the brakes. Brake failure can be down to age, wear, neglect, overheating, damaged discs and pads, and loss of brake fluid. Engine trouble is a very broad term because its causes can relate to any one of a multitude of connected and convoluted mechanical/electrical functions. However, one way to ensure the engine itself is always at the top of its own game is to regularly maintain the fuel and ignition system and repair/replace components as recommended. As the ads tell us, there's only a sliver of rubber between our cars and the road, so for safety's sake it pays to ensure the tyres are in tip-top condition. Correct tyre choice and tyre pressure, combined with wheel balancing, alignment and tyre rotation, are all good ways to maximise tyre life. However, flats caused by hard impacts and punctures are just part of modern motoring. Those dashboard dials aren't there for decoration, so if you see the needle on the temperature gauge heading speedily north, or the warning lights start flashing like a 1970s dance floor, your car is overheating. Don't ignore these signs, otherwise you risk serious engine damage and a likely costly payout for repairs/replacement. If the car overheats, pull over safely, wait for the engine to cool before you touch anything under the bonnet, and wait for roadside assistance. You want the best performance out of every full tank – especially at today's prices – and if that's not happening, it's time to find out why. Factors to consider include the fuel injectors, air filters, tyres, oil, spark plugs, your own driving behaviour and more. In ensuring your fuel provides optimum performance and goes the distance, you also need to go the distance in terms of monitoring, maintenance and habit. Starter motors have two main components – the primary motor that starts the engine, and the solenoid that transmits electrical current from the battery. Symptoms of starter motor trouble include the engine failing to turn over, the engine whining without engaging, a nasty grinding noise, and smoke. There are other symptoms, lots of reasons for them, and all are bad news. Interestingly, the rise of stop-start ignition technology has brought extra pressure to the performance of starter motors. Like your battery, steering problems tend to drop plenty of hints that trouble is on the way. If you're having difficulty actually turning the steering wheel, or it seems hellbent on refusing to be held at all and slips through your grasp, then urgent rectification is required. Meanwhile, if the car pulls to one side or the other, the wheel shudders, or you start hearing noises more akin to the climax of a horror movie, these too warrant attention. This last one isn't necessarily a problem in and of itself, but your warning lights do call attention to the problems already mentioned and plenty more besides. In other words, it pays to pay attention to your warning lights – after all, there's more than 60 of them and they're often your first indication of trouble wherever it may strike. While a flashing red light indicates a serious problem either happening or about to, an orange light means the car's computerised engine management has discovered a gremlin in the works. Also, warning lights themselves are not immune to fault, especially when your car's electrical system is playing up. For all these problems and more, and if you're in a fix that needs fixing, AutoGuru gives you access to 1600+ qualified workshops or fully certified mobile mechanics. No problem!